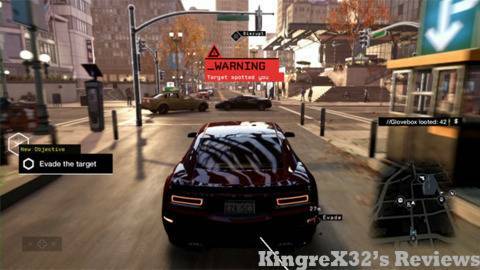 When I first saw Watch Dogs at E3, I was impressed; it was a dazzling looking game that took place in a GTA like world with cool hacking gameplay mechanics thrown into the mix. "The city is your weapon" I believe the tag line was. I was very excited for the game even though it wasn't announced for WiiU (I didn't have my PS3 yet). So when Ubisoft announced that the game would be coming to WiiU a little while later I got very excited; so excited that I took money from my Assassins Creed 4 Black Flag preorder and put it on Watch Dogs. (Then back again on Assassins Creed once news of the Delay came along) Was it worth it? 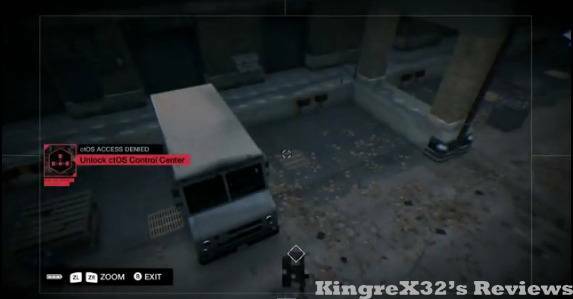 Watch Dogs was Developed by Ubisoft Montreal and Published by Ubisoft. It was released on May 27th 2014 for PS4, Xbox One and PC, and November 18th on WiiU. 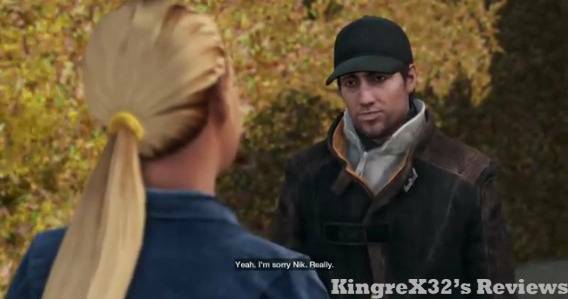 Watch Dogs takes place in Chicago and follows the protagonist Aiden Pierce. After a job goes wrong some fixers are hired to scare him. Unfortunately that job as well goes wrong and Aiden’s niece is killed in a car accident. Now he is on a mission to find out who was behind the events that lead to his niece’s death, but gets drawn into an even bigger conspiracy. For me at first Watch Dogs was a little daunting. There are all these mechanics I had to learn and all these different controls and options and features etc. Unfortunately the games tutorial level doesn't go into too much detail about said features it just gives you a basic rundown of the controls, a few mechanics then just throws you in. Through trial and error I eventually learned what I needed to learn but it took a while. The game isn’t hard it’s just the lack of explanation for a lot of things can prove a little frustrating. As cool as this is out of all these things the most important ones are Security Cameras; most missions will want you to hack into systems that are far away or are heavily guarded. Using security Cameras Aiden can bypass the guards and hack into systems remotely, a lot of time it takes creative thinking though as some cameras can be out of range or are mobile cameras mounted to the guards uniforms. 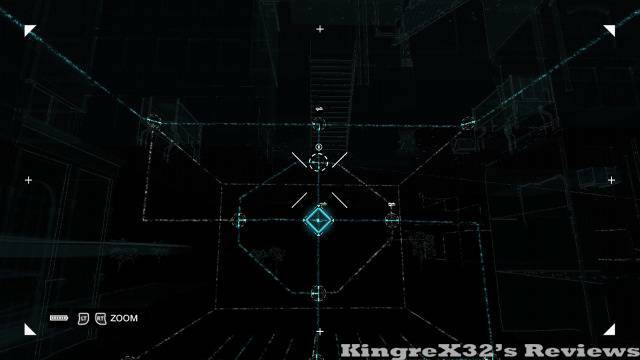 Camera can also help you to unlock ctOS stations (opening up more of the city and unlocking more side quests) and get you to hard to reach places. It can also help with online hacking. Online hacking is very similar to the multiplayer in the Assassins Creed Series. In Assassins Creed Multiplayer gamers have to remain somewhat discreet as they try to figure out who they are supposed to assassinate. One wrong move can give you away to the player that supposed to kill you. 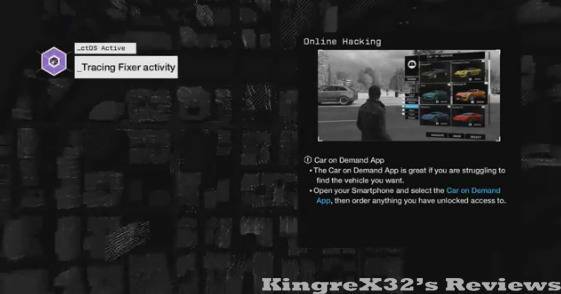 Well it works sort of the same way in Watch Dogs, you will have to hack a player, but have to do it discreetly because if the person you are hacking finds you, unlike Assassins Creed they can kill you, or run away. This is were using camera to find the person comes in handy. It all depends on how you choose to play. This not only happens in Online but it can happen at anytime while playing even if you are in the campaign. 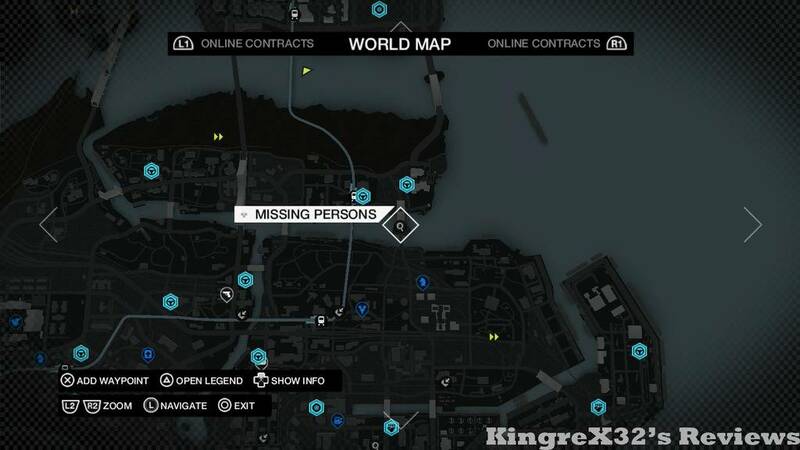 Watch Dogs allows gamers to secrectly join another players campaign. Players don’t have to just hack and kill each other though, littered through out the game are a bunch of smaller side activities for players to take part in; Digital Trips, Cash Run, are games with leader boards for you to leave your mark, and City Hot Spots are places in game where you can collect or leave gifts for other players. Car races, competitive decryption combat, and ctOS mobile challenge are other multiplayer games. 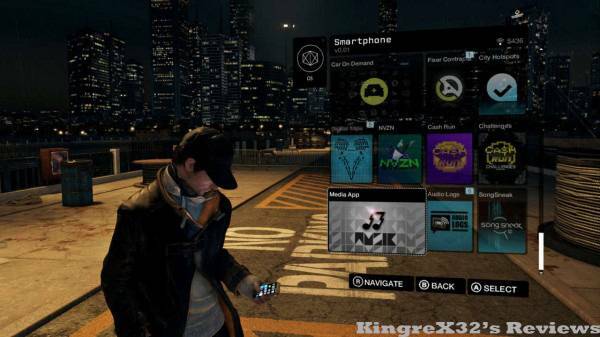 Watch Dogs also has a mobile application that allows other nearby players to challenge each other in game. 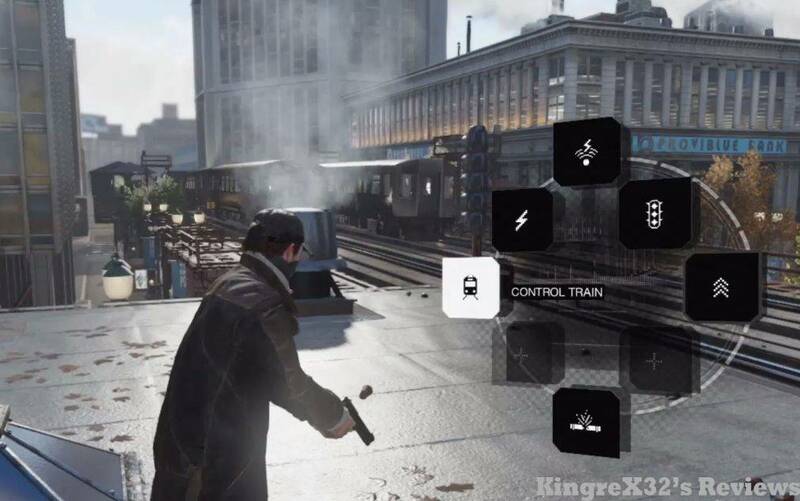 Like most Ubisoft games on WiiU, Watch Dogs features Off-Tv Play via the WiiU gamepad, and Ubisoft’s Uplay Client. The game also has DLC add-on pack in the Nintendo eShop. Due to some mature content this game does not support Miiverse. 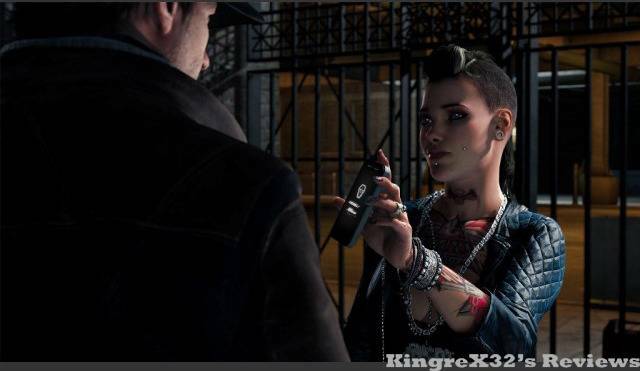 While it doesn’t look as impressive as it did at E3 Watch Dogs is still a pretty good looking game. Its smooth it runs great and I’ve experienced no glitches or programming errors. Gameplay is varied as I said above, in addition to the massive campaign and fun multiplayer there is a ton of side missions to keep you going well after you’ve finished the main game. 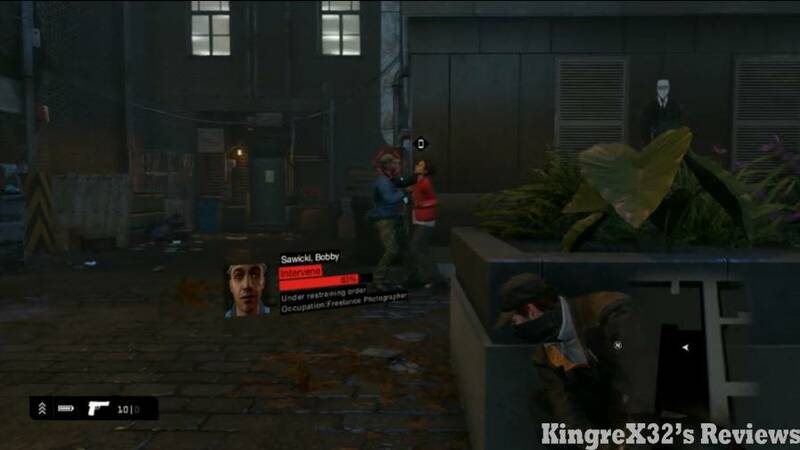 Keep in mind that Watch Dogs is primarily a stealth game, yes you can try to Rambo every badguy you see but it will be hard as Aiden is just a civilian. Defeating enemies requires you to setup traps, and use the environment to your advantage. Control Wise the game is also compatible with the WiiU Gamepad Pro. Issues ive had with the game are as Ive said already lack of direction, I don’t need to be told step by step everything I had to do but it would be nice if I got a heads up on exactly what to do next every now and then. A perfect example is the fight with Iraq in Act 4. The game says Purse Iraq, so you do, but it leads up to a roof and Iraq is no where to be seen. You walk to the side and see an option to climb down, you do, Aiden falls to his death. I eventually found out that what I was supposed to do was get to the roof, and listen to Iraq scream at you for a bit then the boss fight initiates. I died about three times before I figured that out and it was a piss off. Apart from that load times are a little long (anywhere between 20 and 50 seconds), I didn't like the fact that Aiden sounded like Christian Bale's Batman and every now and then an enemy will see you through concrete. Watch Dogs gets way more hate than it deserves the game was a bit over hyped and no it’s not a “GTA Killer” as some have said. I enjoyed the missions, the side quests, and even though I lost a lot the multiplayer i still found it fun and innovative. Watch Dogs is a well put together game that runs very smoothly (especially on WiiU). The hacking Aspect of the game receives top marks in my book and I really did enjoy playing it. Awesome review! Welcome back dude, and thanks for publishing this review! I bought the game and sold it on the same weekend. What a disappointment. I could see how you would feel that way. Rukiafan asked me to write a review so i kept it. Now that im done with the game im excited to Start Deus Ex Human Revolution. @KingreX32 could you please review that game too?! I'm in no hurry so take your time. I don't care for violent games. Was this even released here in the Japanese market? Rukiafan wrote: @KingreX32 could you please review that game too?! Dude I just started it late last night. So that review wont be done for a good long while. I understand that, so is that a yes? Money is tight right now so I'll pass on this one.